Day 22 of government shutdown: Dictator Donald Trump (DDT) has his wish—the longest government shutdown in U.S. history. Until today, the longest was from December 5, 1995 to January 6, 1996 when GOP leaders disagreed with the method of determining a balanced budget. Before that, the GOP closed the government from September 30 to October 18, 1978 when Jimmy Carter opposed purchasing the nuclear-powered aircraft carrier. Details of all shutdowns until the GOP objection on October 1-17, 2013 to the Affordable Care Act are here. In the formerly three longest shutdowns, the Republicans voted to agree with the Democratic presidents. This past week, members of the Coast Guard risked their lives to rescue three men on a crabbing boat that tried to cross the dangerous Newport (OR) bar, the opening at the end of a jetty between the ocean and Yaquina Bay. Sadly, the boat was lost and the three crew members died, but not because the Coast Guard didn’t do their jobs—although they aren’t being paid. The 41,000 members of the Coast Guard are part of the 800,000 federal workers no longer receiving paychecks because of DDT’s intransigence or government allowances for housing in expensive coastal cities. Federal workers are already struggling to make up for the missing paychecks by getting supplies at charity food pantries, driving for Uber, and giving blood. They aren’t employable because they may not be staying on the job long. At the same time, states and municipalities are losing revenue by less sales tax, and small businesses are hurting from lack of business. 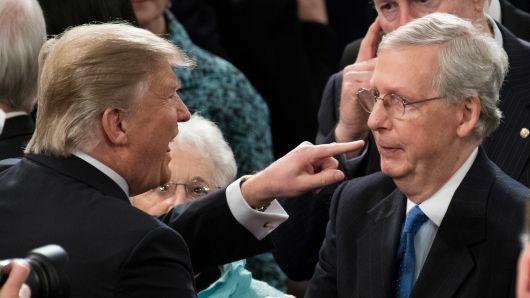 This week, Sen. Lindsey Graham (R-SC) decided to negotiate a resolution with DDT by reopening the government while letting congressional committees sort out money for the wall. DDT rejected the GOP plan, and Graham said that he’s given up looking for a resolution. In making a “deal” for the wall, each side has to give something to get something. The only “give” that DDT offers is reopening the government—which he has to do anyway. DDT claims “No wall, no deal,” and the only resolution is for two-thirds of each congressional chamber to vote for a continuing resolution—without a wall. DDT now falsely claims he never said that Mexico would pay for the wall. Not only does video show him making this statement over and over, but his campaign materials state that he expects to finance the wall with “a one-time payment of $5-10 billion” from Mexico which his administration would “compel” the country to make. Trying to avoid bad press and appease friends, DDT promised the illegal actions of sending tax refunds to people and favoring lobbyists in the lending block of the mortgage industry. Yesterday, 800,000 federal workers got paychecks with $0.00, but Treasury officials guaranteed that the IRS will process forms for mortgage lenders. The Mortgage Bankers’ Association CEO, Robert Broeksmit, asked to “make these guys essential” because of “a problem for the lending industry.” The clerks working on Broeksmit’s problem will receive full pay, unlike the vast majority of their colleagues, but the estimated 248,400 veterans working for the shutdown government agencies get nothing. Thirty-three Wagner professors and over 700 alumni have asked the school to rescind the honorary degree that DDT received for his address. A saw can be used to cut a hole through DDT’s preferred wall prototype, the “steel bollard.” Even without the hole, the spaces between the slats are wide enough for packages or perhaps people. Or they can just climb the bollards. “Never so many apprehensions ever in our history,” DDT said. 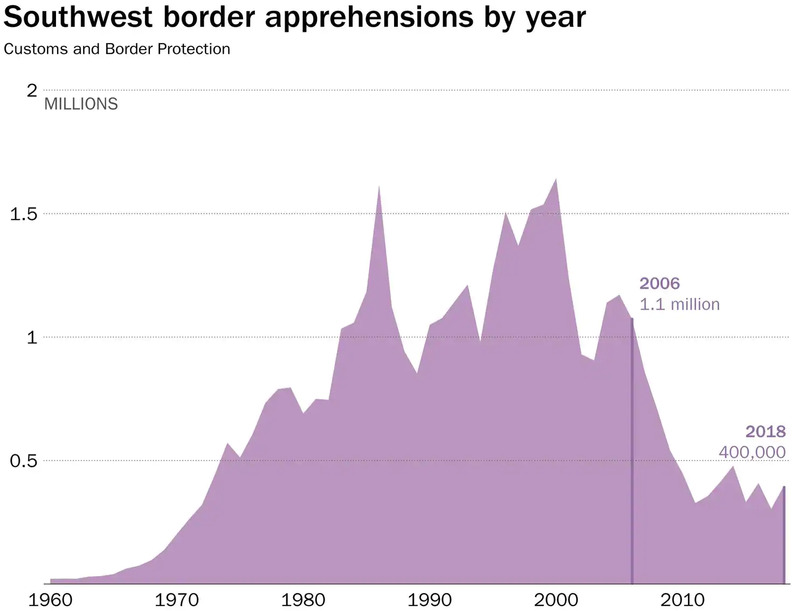 Yet the 400,000 apprehensions in 2017 and 300,000 in 2016 are far lower than the past with 19 years over one million people between 1983 to 2006 and topping out at 1,643,679 apprehensions in 2000. 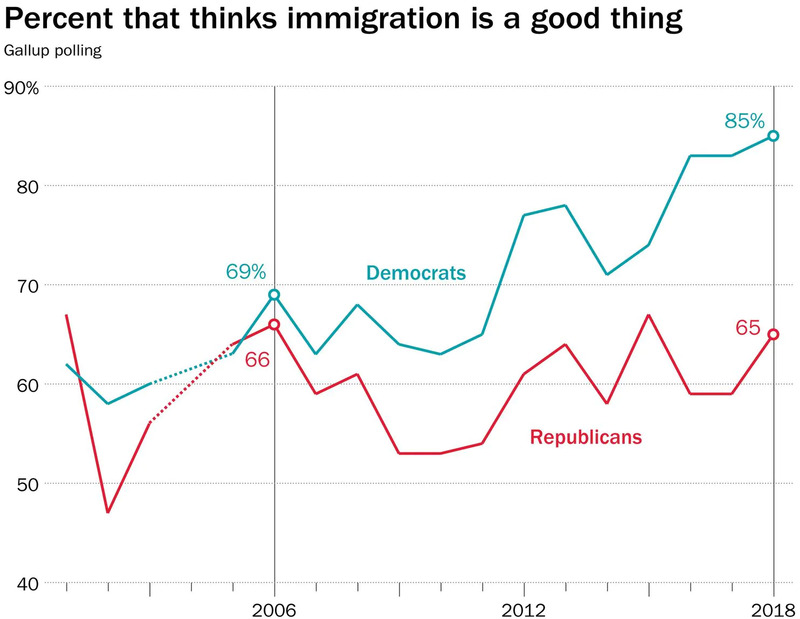 And bipartisan support for immigration has grown. 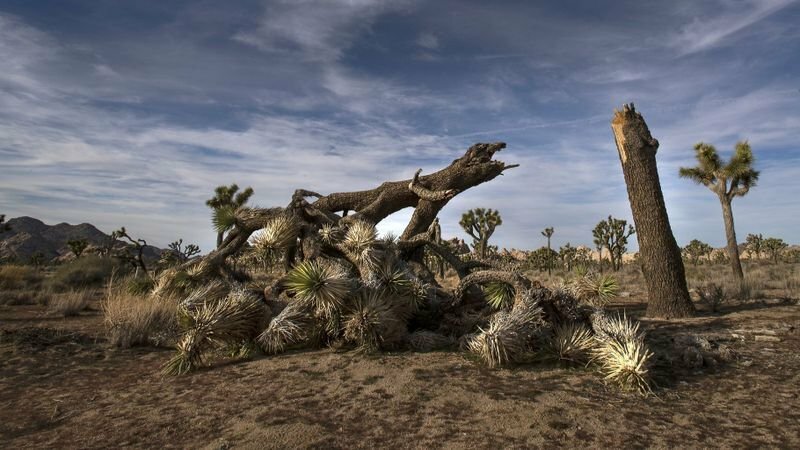 DDT wants to build a wall by taking $13.9 billion in disaster relief in declaring a national emergency, including include $2.4 billion for flood prevention and protection projects in California, $2.5 billion for reconstruction projects in Puerto Rico, and $4.5 billion for projects in Texas, including those related to 2017’s Hurricane Harvey. 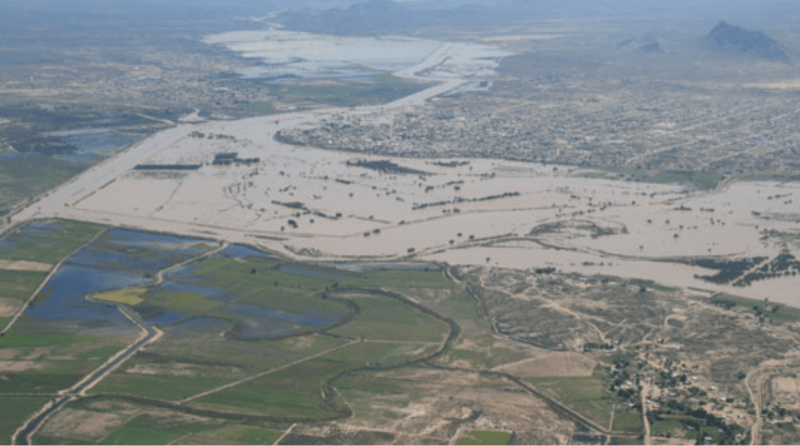 Border experts state that a wall has already been built everywhere possible on the border, but 1,254 miles runs through the middle of the Rio Grande River which routinely floods—more and more since recent climate change. Any barriers will greatly worsen flooding as shown by the flash flood along the 5-mile border fence along the Organ Pipe Cactus National Monument that poured through the port of entry and damaged businesses, government buildings, and private property. 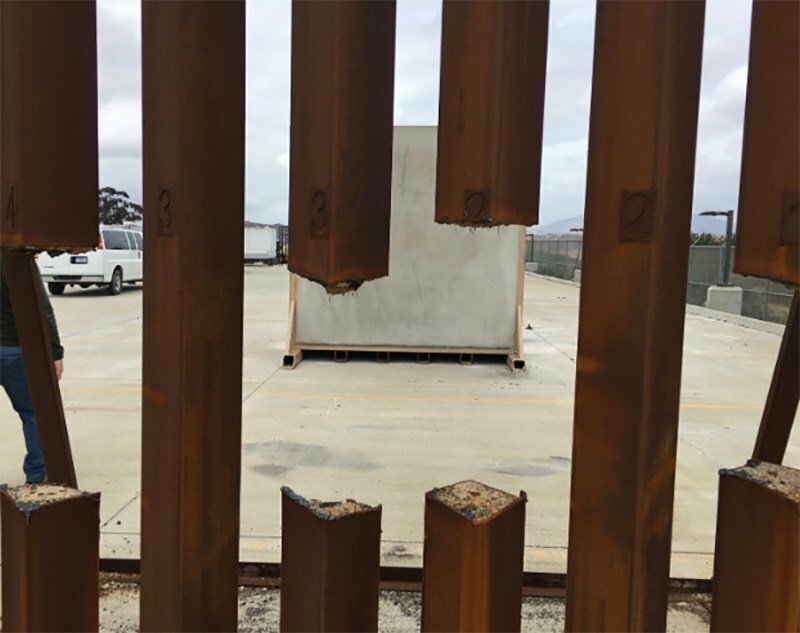 The only solution is to put the fence miles away from the border, leaving privately-owned U.S. land seized through eminent domain on the Mexican side and ceding that land to Mexico. About walls, DDT declares he’s a “professional at technology.” He said, “I know tech better than anyone.” This statement follows all the other areas in which he considers himself an expert because he knows more about the subjects than “any human being on earth”: science, drones, Osama bin Laden, Cory Booker, borders, campaign contributions, courts, debt, Facebook, guns, visas, infrastructure, the political left, money, horror of nuclear, renewables, steelworkers, taxes, trade, Wall Street bankers, and wedges. 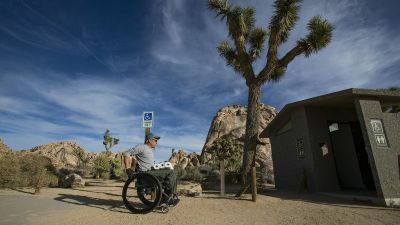 Federal workers suffering from no pay are scattered throughout the country with the top afflicted places outside Washington, D.C. being Alaska, Montana, Wyoming, New Mexico, South Dakota, West Virginia, and Idaho. A map with numbers of federal workers without pay is here. DDT’s shutdown is estimated to lose the economy $2.5 billion every week, a 0.1 percent loss in GDP for every two weeks. And that’s low-balling the guesstimate. Congress can stop the shutdown if two-thirds of each chamber votes for a continuing resolution or a budget. That’s 50 Republicans in the House and 15 in the Senate. The House has already picked up 12 Republicans. Maybe that many legislators will learn that a wall won’t stop drugs coming in through tunnels, ports of entries, and international bridges; a wall won’t address the majority of undocumented immigrants in the U.S. who overstay their visas.